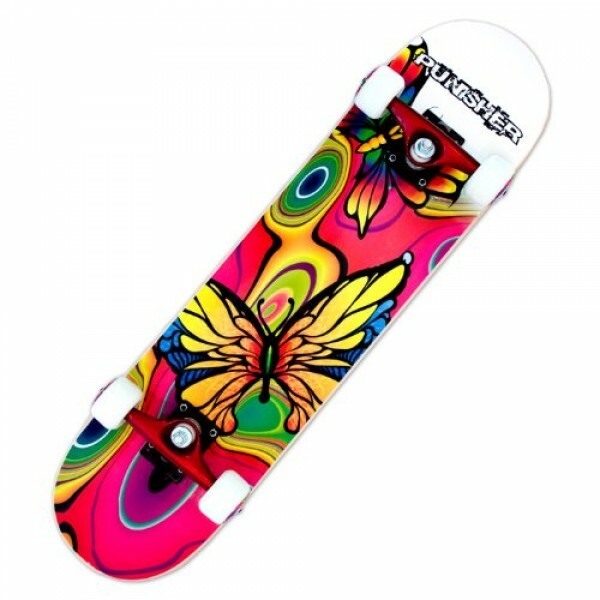 This Punisher Skateboard features vibrant butterfly graphics on a 31" x 7.5" double concave deck constructed with Canadian maple. This board has the second best available bearings, the wheels are ideal for pavement or a skate park, and the reinforced trucks are strong enough for an adult rider. Plus, the surface features heavy duty grip tape to give you the best possible connection with your board. Ideal for any skateboard enthusiast.